MIT 100K 2018 Accelerate Competition Finalists! Arable helps farmers optimize tilling practices, leading to more efficient and sustainable farming techniques. To keep pace with the rise in global population, the Food and Agriculture Organization estimates that farms will need to increase crop yields by 70% over the next 35 years. To do this, we need to take a holistic view of crop yields, and this starts by taking a deep look at soil, the humble media in which the majority of the world’s food is grown. For farmers to get the most out of their arable land, high resolution data and analytics are needed on soil health, mapped at the field scale. These soil health maps, along with recommendations, allow farmers to optimize field management practices such as tilling and fertilizer application, reducing costs while simultaneously increasing yields. Soil compaction, the main impetus for using tilling equipment, contributes to an estimated 10-15% loss in annual US crop yields, with an associated monetary loss of $45B. Similarly, inadequate use of fertilizer contributes to 15-20% yield loss with an associated monetary loss of $65B. Improving efficiency starts with understanding and mapping relevant soil health properties across a field, however, current measurement techniques are slow and labor intensive, making high-resolution measurement impractical across large fields. Tell us a bit about your founder story. We have known each other for over a year and a half now, after meeting during a hike to the top of Mount Washington with friends from our Integrated Design & Management program (IDM) at MIT. Many of Guillaume’s family members are growers in the southwest of France, who provided him with first-hand insights into how complex it is to fully leverage the soil to grow better food in larger quantities. Matt had a natural draw to agricultural projects after his experience at a global development R&D lab. Together, we uncovered that there was great potential in solving one of agriculture’s biggest challenges, and set out to find a solution. After assessing promising technologies and validating our approach with experts, we designed a solution and tested it in the field. Although we are conscious of the intense competition in this space, we feel well positioned to build a strong company around this opportunity. We are leveraging connections with leading precision agriculture experts, as well as a collaboration with technology experts from Lincoln Laboratories to develop our product. At the early stages of this project, we talked with a number of people in the agriculture field who highlighted some of the challenges and opportunities around soil health. There are a number of startups working on collecting above ground data, but there seemed to be very rich opportunity space looking below, in the soil, so that is where we are focusing. What's the biggest challenge you've faced thus far? After several months of dedicated research, planning and design, we confidently naively decided to test our technology on a farm in southern Massachusetts. It was supposed to be a crisp, efficient morning and we would be back in Cambridge by the afternoon. Little did we know that the temperature would be in the low twenties, causing our sensors to malfunction, and that we would end up walking an eight-acre farm by night, guided by the car’s lights. Our grand plans to map out entire fields by midday turned into a few acres worth of data. With money lost and frozen feet, we swore to never do that again. What's one piece of advice you'd give to other aspiring entrepreneurs in the same position? D3 Diagnostics provides holographic imaging technology in resource-limited settings. D3 is trying to solve the problem of early-stage cancer detection. Existing gold-standard tests for malignancies such as lymphoma and breast cancer are far too expensive to be administered at scale, especially in resource-limited settings such as Africa. The ability to diagnose cancer early-on and at low cost will lead to transformational improvements in the clinical outcomes of cancer patients worldwide. D3 grew out of research at MGH’s Center for Systems Biology, in the joint labs of Drs. Hakho Lee and Ralph Weissleder. Our team has been working together since 2015 to deploy and commercialize D3’s groundbreaking approach to cancer diagnosis. Our technology is a unique combination of computational optics and single-cell level molecular detection. It’s an approach that could only have emerged from a collaboration between an engineering university and a research hospital with deep clinical expertise in cancer pathology. Our team is a passionate mix of research scientists and biomedical entrepreneurs that share a common vision and are excited to tackle it together. With complementary experience in assay development, device fabrication, and computational methods, we are exceeding well-qualified to execute our vision. Cancer is a dire and growing problem that needs to be attacked from many angles. Our low-cost, point-of-care approach to early detection was recognized by the NIH as a game-changing weapon in this fight. Once a proof of concept was in place, the need for a company to commercialize and deploy it became plainly obvious. The biggest challenge thus far has been in the planning and execution of a 200-patient clinical trial in Botswana. This requires complex coordination between clinicians, pathologists, biochemists, and device experts at MGH and our partner sites in Botswana. We overhauled our hardware, biochemistry, and computational approaches many times, but have remained fixated on our clinical goals. This has really helped us to deal with the inevitable setbacks involved in solving a very difficult problem. Iterative Scopes uses data analytics and advanced computing techniques to narrow health care disparities. Colorectal cancer is the second highest cause of cancer related deaths in the world. 4.5% of all people will have some form of colorectal cancer in their lifetime. Colonoscopy is the primary tool used to screen for cancer in this domain; however, recent studies indicate that false negative rates (i.e. missed lesions) are as high as 25%.These issues are further magnified in resource-poor countries that suffer from inadequate access to diagnostic hardware and robust medical education systems. Our mission is to reduce the disparity in healthcare outcomes in both the United States and developing markets. All of 5 months! We met at school and were lucky to find one another in MIT Sloan’s uniquely collaborative and diverse environment. We met at different times but the common theme across each meeting was that each one of us saw an impact beyond ourselves and wanted to work together. Before Sloan, while I (Jon) was working at the Ministry of Health in Singapore, I realised that policymakers and managers had difficulty understanding physicians’ performance reporting and questioned the reliability of the data which was being presented to us. 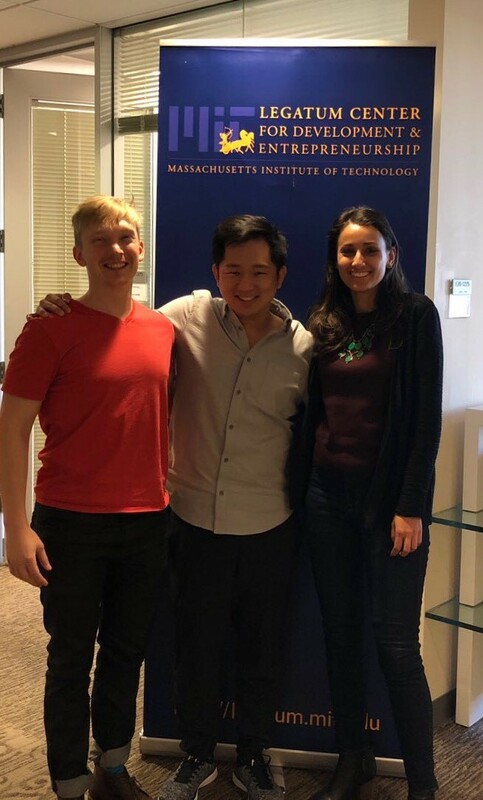 It was one of the rare frustrating times that we weren’t able to work around.When I arrived at MIT, I realised the kind of resources and possibilities that the school and Boston ecosystem presented. Four months later, here we are. We are trying to do good for patients and society as a whole by detecting cancer early and improving long-term healthcare outcomes; however, we have come to realize that in the US, insurers are often incentivised by near term ROI due to high patient churn. We are looking for insurers in the United States who are similarly aligned to long term value and would love to have a conversation. If you pursue your beliefs with the right attitude and intentions, things have a way of working themselves out. Just trust in yourself. Loop offers low-cost wheelchair seat cushions (made from bike inner tubes) to prevent pressure sores. The World Health Organization cites that the average life expectancy for people with spinal cord injuries in many low to middle income countries is as low as one year. Even worse, the primary cause for death is not the spinal cord injury itself, but preventable pressure sores. Wheelchair seat cushions are essential to prevent life-threatening pressure sores. Unfortunately, many users receive poor quality cushions or have no cushions at all. With an estimated 200 million wheelchair users in developing countries worldwide, there is a large amount of the global population whose lives are at risk because existing technology is inaccessible. Loop is trying to make high quality seat cushions available to all wheelchair users in developing countries. I'm a junior studying Mechanical Engineering at MIT and have been trying to solve problems facing the developing world since I left the US for the first time during my freshman summer to travel to India. While I'm committed to continue to use my knowledge of mechanical engineering and design to help to solve the problems facing developing countries, I'm particularly invested in this particular problem since I traveled to Indonesia and Vietnam over this past summer to interview wheelchair users and visit NGOs that distribute wheelchairs. From this, I have an understanding of the problem one could only get by seeing and interacting with the problem firsthand. I know that there is a real need for this technology. Loop originated from my desire to not follow the traditional path of pursuing an internship for the summer after my sophomore year. I wanted to do something over the summer where I felt I was really going to make an impact. This led me to get in touch with an NGO in Indonesia that described a few of the possible technologies they saw could make a big impact on their users, but didn't exist yet. The idea of an inflatable wheelchair seat cushion spoke to me and I just decided to tackle it. Trying to turn bike inner tubes into something they don't want to be. Unsurprisingly, bike inner tubes don't naturally function too well as a life saving device, so it has required a lot of creativity and understanding of the best seat cushions to get them to work as desired. Don't let yourself tell yourself “no”. Throughout this whole process of establishing Loop, I was consistently the only person telling myself I couldn't do it. For young entrepreneurs, being conscious of your lack of experience and knowledge compared to others is very useful to realize, but really dangerous to allow to define your capabilities. Starting your own project or company will be a learning process for anybody; the difference is that the less experience you have, the steeper the learning curve will be. So while of course you should be reasonable, don't let anybody, and most importantly don't let yourself, tell you that you can't do it! Dive headfirst into the problem and you'll see how much you can discover about the world and yourself. Okoa uses an attachment that can turn any motorcycle into an ambulance, helping to close the gap in medical emergency transportation in developing countries. In Tanzania and other developing countries, rural communities are located far from healthcare facilities, making it difficult to get to medical attention in an emergency. Few transportation options are available due poor road conditions and lack of financial resources, forcing people to choose between traveling by motorcycle, bicycle or foot. These methods are slow, painful, and sometimes life-threatening for patients in a medical emergency, and many choose not to go. This leads to preventable deaths, many of which are from dangerous roadside births with no midwife, or stillborn births due to shaken baby syndrome. Additionally, poor communication between drivers and villagers increase the wait time for treatment, putting patients at risk of further complications or death. There are estimates of 1 billion people facing these realities, many of them pregnant women. The World Health Organization reports that 5,000 women and over 52,000 infants from low resource settings died in 2015 from preventable complications in Tanzania alone. While this statistic is specific to women in Tanzania, it reveals a common problem that is present across the country and other developing countries regarding safe, affordable transportation options in rural areas. 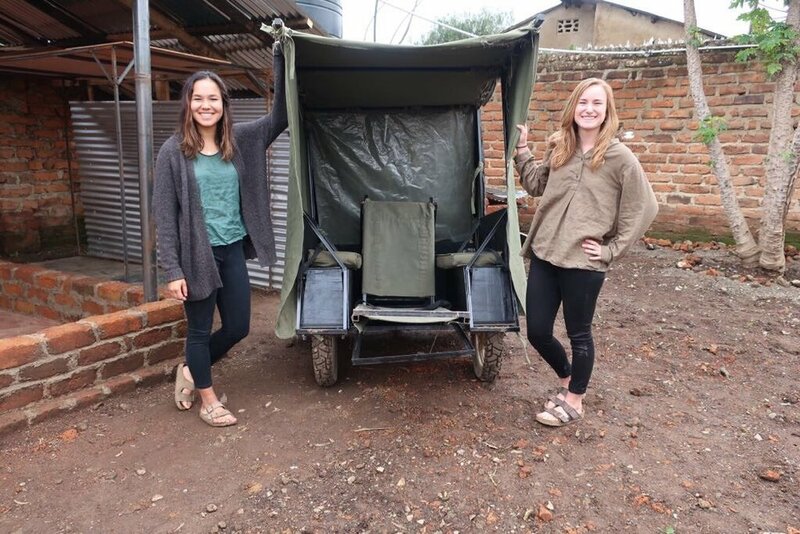 Emily Young and Sade Nabahe co-founded The Okoa Project when The Olive Branch for Children (TOBFC) came to MIT’s D-Lab looking for a way to safely and comfortably transport patients to existing healthcare facilities. They worked on it for almost a year before visiting Tanzania, seeing the lives their project could save. 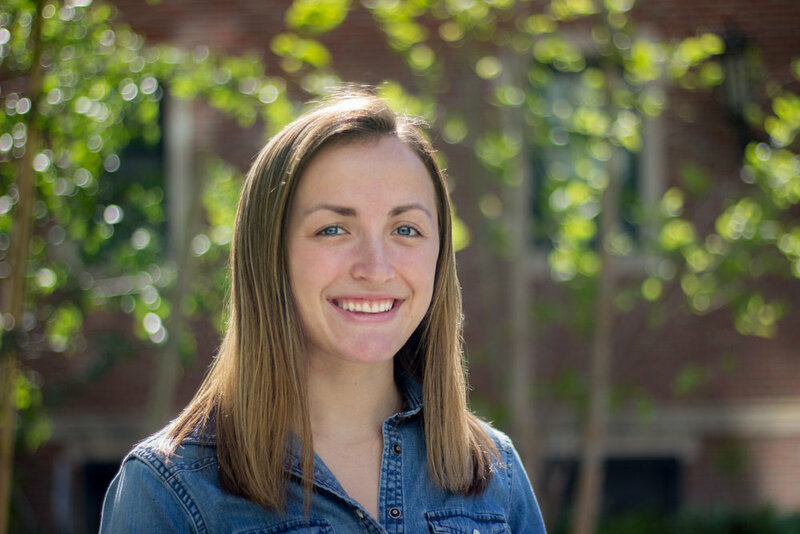 Since then, they have expanded the team to include two other MIT students, Eva Boal and Jimmie Harris, and other Tanzanians through TOBFC. With 4 MIT semesters, 3 prototypes and 3 trips to Tanzania, the team has learned to work together to make this ambulance a reality. Our diverse backgrounds and interests are key to the future of the product, and we rely on practical and local experiences. Sade (MIT ‘17) specializes in project management through previous D-Lab and MISTI development projects, Jimmie Harris (MIT ‘17) has experience in race car design, Emily (MIT ‘18) has an extensive design and fabrication background through consumer product internships and working as a 2.007 lab assistant, and Eva (MIT ‘18), has business development and financing experiences from working on business development for startups, internships and fundraising over $185K+ for Camp Kesem. Our amazing partners at TOBFC have over 15 years of experience in the space and communities we are hoping to impact. We all come from different backgrounds but know how to and want to work together to fulfill Okoa’s potential. We were inspired to start this project when TOBFC came to D-Lab, but the ‘aha!’ moment was when we went to Tanzania the following January. We saw the problem first hand by talking with community members and healthcare workers, and realized how critically these areas needed our product. From that point we have been extremely invested in pursuing this solution and making our motorcycle ambulance a reality. The biggest challenge that we have faced so far is working in Boston while our main prototype and testing areas are in Tanzania. We have been able to design another counterpart prototype in Boston and work on design iterations and testing procedure validation, but it is not the same as being in Tanzania. We are really looking forward to June when we graduate and can work full time on this, and September, when three of our team members will be moving to Tanzania. For other aspiring entrepreneurs, I would say: be willing to ask for help in areas that you are not an expert, and use the MIT network. There are brilliant advisors who would love to offer both advice and tools to further prototype and to help with business development. All you have to do is ask! OZÉ is a mobile app that aggregates and analyzes transaction data to push context-specific recommendations to business owners. If small business owners in emerging markets are keeping financial records, they are doing so in paper ledgers. They end up with pages of handwritten entries but struggle to turn this data into insights into actions that drive profits. Furthermore, you can’t show up at a bank with a stack of notebooks and get a loan. This is why more small businesses fail, and do not grow. In fact, 77% of small businesses in emerging markets are classified as non-employers, which means that they do not pay a single salary. We need to create more than 100 million new jobs in Africa over the next ten years, and I think the only way we can achieve that is if we empower small businesses to grow. How long has the team known each other and how did you meet? 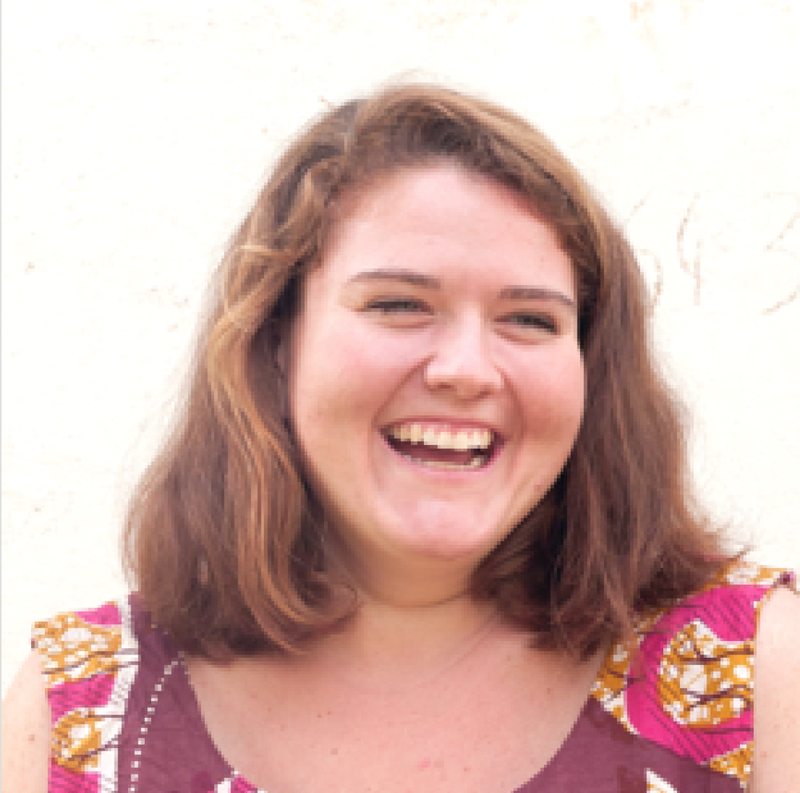 I founded Guinea’s first business accelerator while I was a Peace Corps Volunteer. My team and I were struggling to track the performance of our portfolio companies in real-time, and so we spent most of our manpower and mind power fixing catastrophic errors with our entrepreneurs rather than preventing them from occurring in the first place. We used a human-centered design process at a founder’s retreat for this accelerator and came up with the core concept of what would eventually evolve into OZÉ. Realizing that OZÉ couldn’t thrive with our current team’s capabilities and non-profit structure, we spun it out and recruited a team. What makes our team unique is that we combine a global perspective and experience in developing new concepts with a deep understanding of how small businesses in West Africa work. We bridge the divide between those two worlds with empathy and curiosity. I’m not a software developer so the biggest challenge has been turning this idea into reality, but recently we’ve really built up the tech side of our operation and now we are rolling. Get as close to your users as possible. We actually co-create a lot of our functions and features with our users, and this means that instead of brining an American solution to small businesses in Ghana, I bring a process that lets users define their own solution. Sonic Vision facilitates safer, more cost-effective invasive epidurals. A large number of interventional procedures are performed in a ‘blind’ fashion; doctors have to rely on experience, intuition and mental imagery to guide their needles or instruments to specific locations within the patient’s body. This lack of visual feedback results in inefficiencies, high rate of first attempt failures, complications, and potential lawsuits, all of which burden the patient and doctors alike. 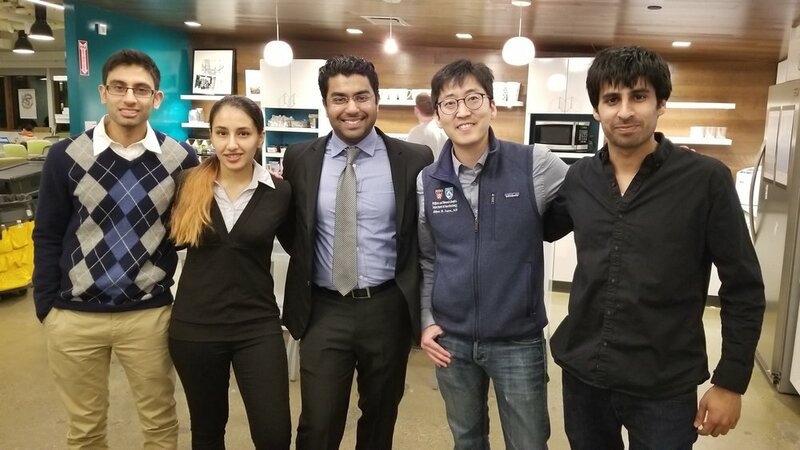 Alex and Sid, two graduate students from MIT, bonded over their interest in bringing cutting-edge robotics technology to the healthcare industry. 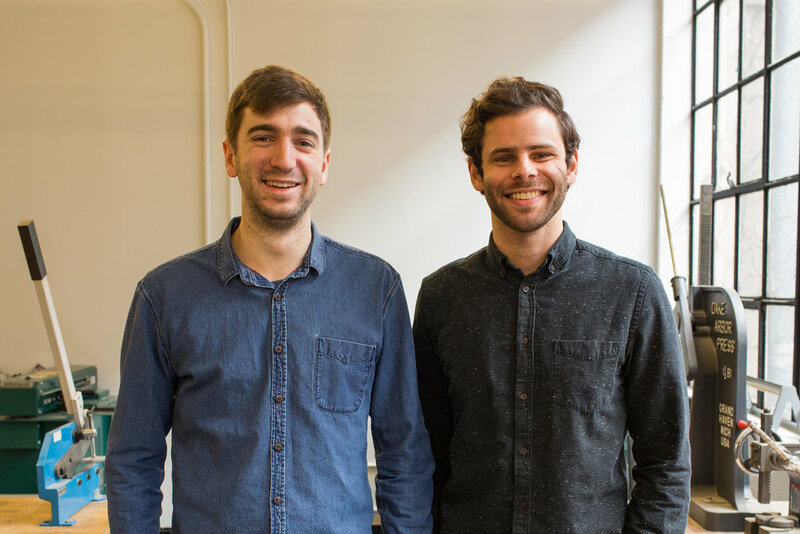 They became roommates, prototyping out of their apartment, and the team has grown ever since. It now spans expertise in ultrasound technology, robotics, anaesthesiology, medical image vision, and machine learning. They have leveraged their connections with Brigham and Women’s Hospital, Massachusetts General Hospital, and Harvard Medical School, which have provided them with valuable feedback within the fields of anaesthesiology, critical care, and pain medicine. Sonic Vision was originally conceived of as a solution to a manufacturing and product repair problem, where augmented reality is already being used to assist workers. After Albert, an anaesthesiologist, joined the team, we realized its potential in image-guided procedures. Our intuition about its impact was confirmed after we witnessed a few live epidurals and how much discomfort it was causing patients, mostly women in labor. It became clear to us that Sonic Vision is a technology with the potential to innovate in many different industries. Our product comes with a lot of technical challenges, and developing good 3D visualizations has been the most challenging aspect so far. If the rendering is off by a even centimeter it can mislead the doctor, and so we have spent a tremendous amount of time thinking about how to acquire ultrasound slices as a volume, display it in an intuitive manner, and project it onto the patient’s body. Find a real market need and a product that you love working on and can’t stop thinking about! 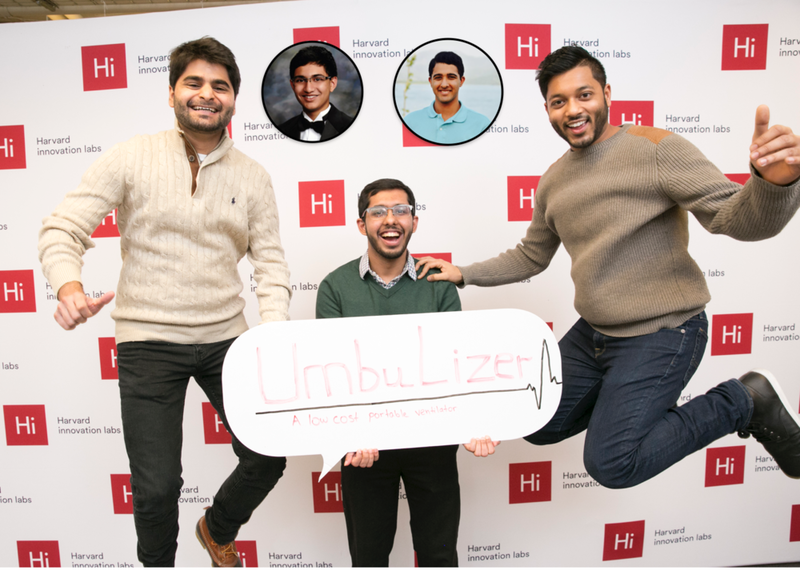 Umbulizer provides a low-cost portable device that provides continuous ventilation to patients in resource-limited health care settings. There is a shortage of ventilators in resource limited countries like Pakistan. As a result, caregivers often Ambu bag the patient for several hours until a ventilator opens up, or the patient dies. Our team has either experienced this pressing issue in Pakistan first hand or worked in similar resource-limited settings around the world. We all come from various academic backgrounds that include engineering, medicine and entrepreneurship, but what unites us is our passion to address this unmet need. The team has now been working together for several months with the goal to reduce preventable deaths caused by ventilator shortage in resource limited settings. I (Shaheer) am a biomedical engineer with experience working at BMC and CVS Health. I often visit Pakistan, where my family lives. During a recent visit, a loved one was admitted to a hospital for respiratory distress. Due to a critical shortage of mechanical ventilators and staff, my family was given a bag valve mask and asked to manually ventilate the two-year old child. My family members frantically took turns delivering life-sustaining breaths for three nights until he eventually passed away. Since then, the team and I have made this project our mission. Backing up your story. When you are working on a project in a low resource setting there is often not a lot of clinical data or information available online to validate your idea. We took it as an opportunity to conduct on-the-ground research, build relationships and get closer to our customers! You're solving a critical healthcare problem that will save lives and bring smiles back to families’ faces. Don't get distracted by setbacks. Remain steadfast and always keep your head held high. Perseverance commands success.